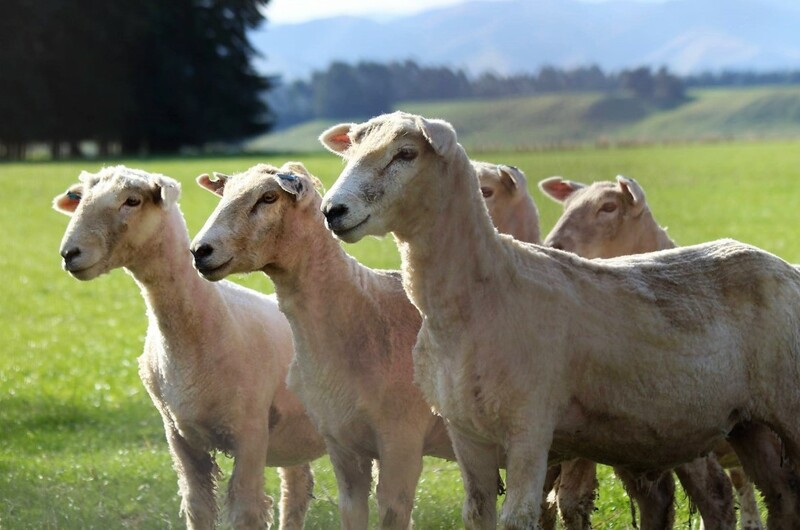 From our clinics throughout Northern Southland, we service over 400 sheep farming clients ranging from small lifestyle blocks to large stations with more than 40,000 ewes. We pride ourselves on providing all the routine animal services and advice you can expect and strive to be leaders in the fields of sheep health and production. Our sheep team is led by Rochelle and Andrew, whom both have extra training in areas of sheep medicine and/or farm systems to ensure you receive accurate, practical and up-to-date advice you can trust. EweFirst is a package designed by Andrew & Rochelle to help you unlock the potential of your flock and maximise production. It is tailor-made to your farming goals and objectives and involves expert one-on-one advice, consultancy and services at key times of the year. This programme is targeted towards building a close relationship between you and your vet with regular phone contact and an annual consultation covering your animal health plan, production objectives and everything in-between. Discounts are also included for products and services to maximise value for you. Included in this package is the ability to score several mobs at each visit (i.e. MA ewes, 2-tooths & lights) and reports detailing target condition scores and how to achieve them. If you would just like a one-off condition score by an experienced, impartial assessor we can also do this at your convenience. Internal parasites are often one of the main factors limiting production on most sheep farms. We have trained experts that are passionate about reducing the impact of parasites on your farm and can design management plans to minimise production loses throughout the year. The cornerstone of parasite management is knowing when to drench and what drench to use on your property. At NSVets we have the equipment and expertise to diagnose worm burdens and determine the effectiveness of your drenches. With faecal egg counting in our clinical laboratory, we can often provide same-day advice regarding the need to drench your stock, providing valuable information to aid your decision making on farm. We also perform full faecal count reduction tests to determine what drenches are working on your property. Keeping on top of all the animal health treatments needed to maximise your flock's productivity and profitability can be tricky. We have vets that can help break this down for you and produce a tailor-made calendar detailing the timing and benefits of individual treatments for your farm. This can then be put in a poster format to help remind you of when treatments are due. Each year in July Andrew & Rochelle go on the road to host two informative sessions on topical areas of interest for sheep farmers. These are usually held in Riversdale and Mossburn to make it easy for you to make it along and often include guest expert speakers. Keep an eye open for the dates, time and venue closer to the time on our upcoming seminars page.